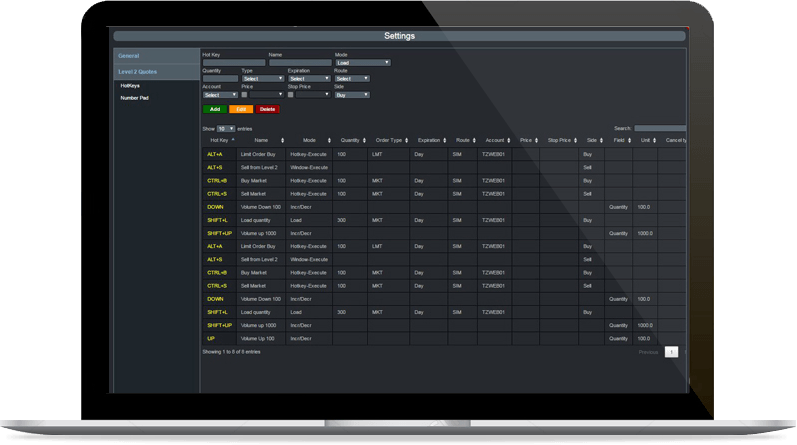 The ZeroWeb trading system is a browser based platform that will run on any connected device. This includes phones, tablets, desktops and laptops, running any operating system. All windows update dynamically tick-for-tick and in real-time. Windows can be linked with one another and the layout is totally customizable. 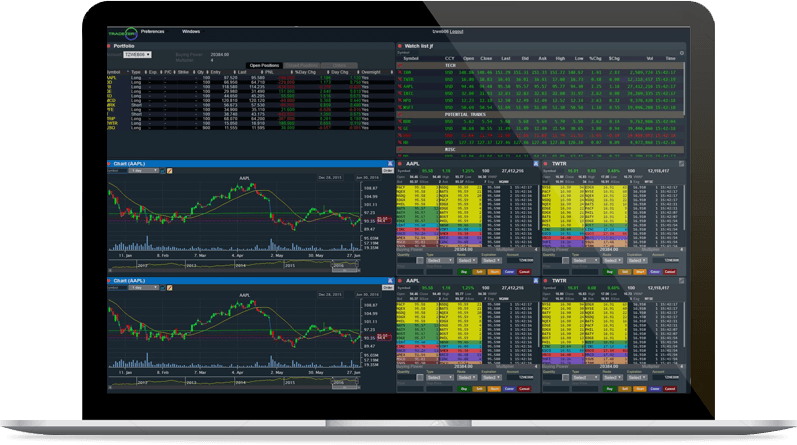 Point and click to trade or trade using the most advanced hot keys for a web based platform. The portfolio shows all open and closed positions, provides a real-time profit and loss, buying power statistics and complete order history. Order cancellations can be initiated from this window. 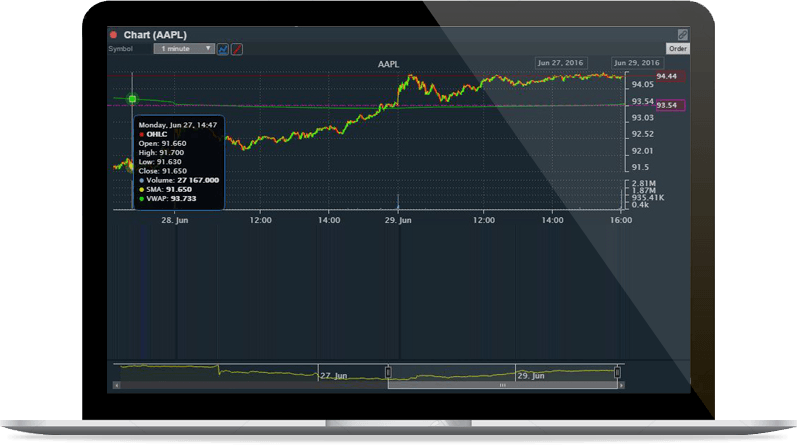 The ZeroWeb charts provide traders with historical and intraday charting. 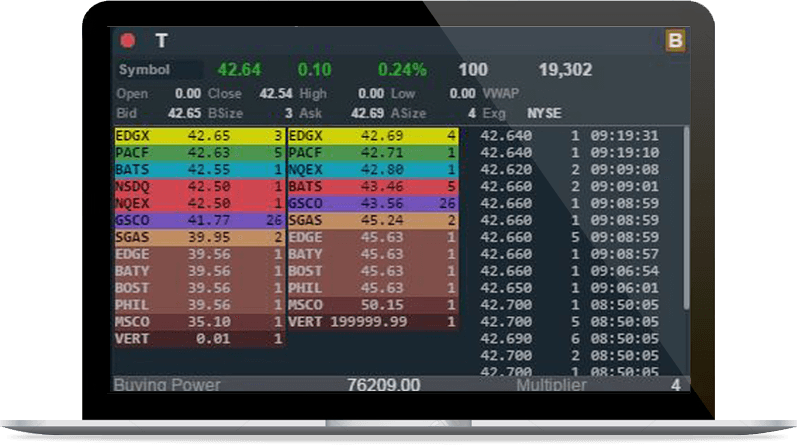 The ZeroWeb Level 2 window includes all market depth,. Level 1 information and streaming timesales. Order entry is done using this window. Orders can be placed by pointing or clicking or using advanced hot keys. The ZeroWeb hotkeys are some of the most advanced hot key contriols available. 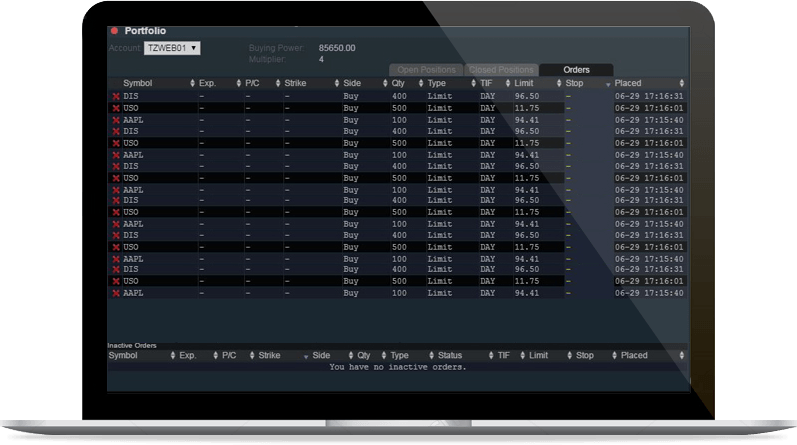 Traders can use the web trader without ever touching the mouse. Everything from toggling windows to updating price and volume and changing symbols can be totally keyboard driven. The hot keys are completely customizable and flexible. Create up to 5 watchlists, each containing 30 symbols. 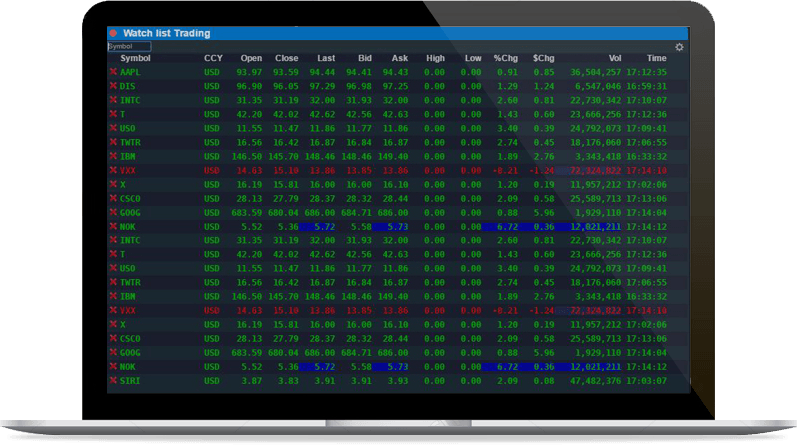 The watchlist updated dynamically, in real-time, tick-for-tick.